The Praxeme Institute is a not-for-profit and state-approved association, pursuant to French law (known as July 1901). The Praxeme Institute’s aim is to develop and promote the Praxeme open method. the coordinator of all work around the method. For more information: see the statutes of the association. To follow the activities, make a contribution or join: the different ways (distribution list, LinkedIn group, association…). General assembly every year in December, as part of the Symposium (which is open, in part, to the public at no charge). The College of contributors brings together, once a year, the decision-makers who support the initiative for an open method. The products developed by the association or in partnership are available free of charge, under a creative commons license, on the wiki. Members, contributors and partners: see the logos in the right-hand column. For more information about the actors of the initiative: see the Chorus section of the wiki. 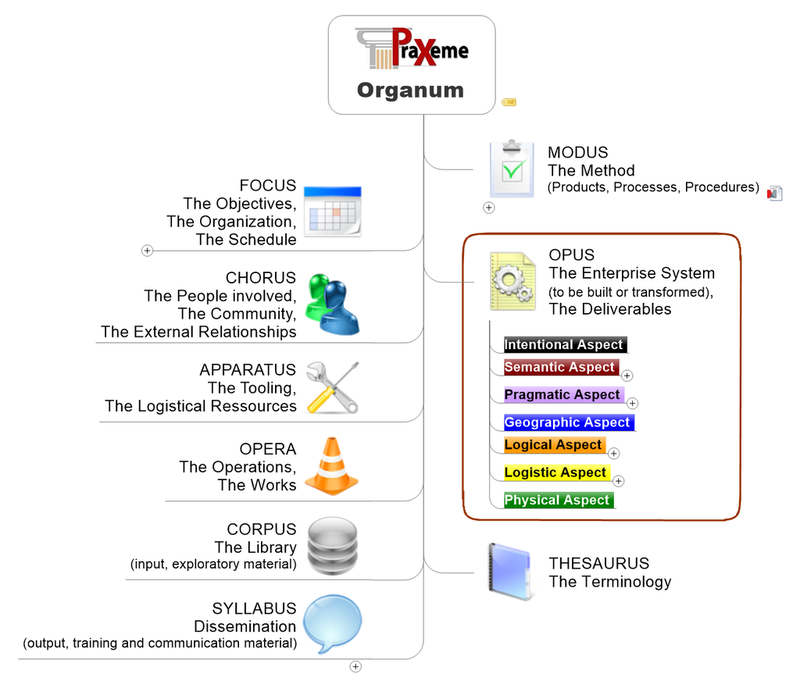 The Praxeme Institute’s main mission, as defined in the statutes of the association, is the development and promotion of the Praxeme open method. To better reach this goal, we are led to provide other material and services. Thus, our activity is organized according to the Organum structure, the method’s proposal for managing project-related material. The sections of the Organum have been given Latin names, used in several European languages, facilitating thus their use in international projects. The Organum structures the wiki.